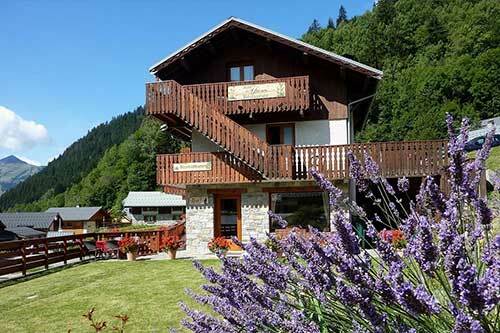 The hotel restaurant Les Glieres is located in Savoie, in the Tarentaise valley, in the ski village of Champagny, in the quiet area of Planchamp, connected to the large ski area of La Plagne and Paradiski and near the Vanoise National park. 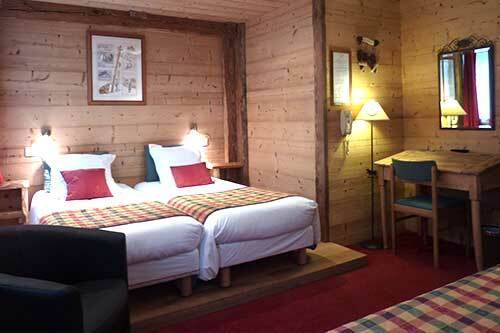 The hotel Les Glières is waiting for you to discover the valley of Champagny en Vanoise. You will be charmed by this unique setting: forests, mountains, open spaces facing south, quiet, sun and easy living. It is also an authentic Savoyard village, blending ancient traditions, friendliness and modern living to the rhythm of the four seasons and that will appeal to sports as well as mountain lovers: skiing in all its forms Tours by feet or snowshoes with discovering the fauna and flora, paragliding, rafting, horseback riding, tennis ... and relaxation! 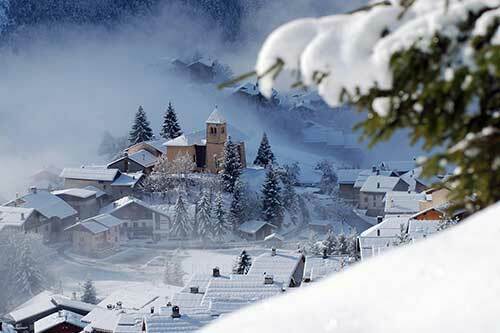 By car the hotel les Glières is 18 km from Moutiers , 20 km from Courchevel , 44 km from Bourg-Saint-Maurice and 55 km from the la Plagne resort and 200 m from the start of the free shuttle to the northern area of ​​Champagny. All our rooms have been completely renovated to the season with a personalized decoration. The breakfast area also will offer its generous buffet that for a good day. The bar and lounge with fireplace invite you to enjoy a moment of rest while sipping a cocktail by the fire. The Finnish sauna, relaxation after exercise. The lounge with its small library and billiards. The ski room with a boot dryer and ski racks. The reception at your disposal to organize your stay, book your ski pass, your ski lessons, your hiking, and leisure. The staff at your disposal. Luggage to leave your luggage during your stay.